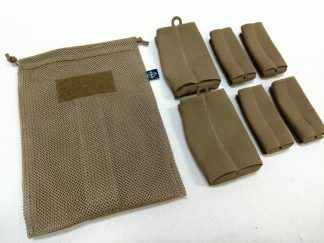 This is a two part system that includes both the outer Duty belt and the Hypalon inner pant belt. Because every belt is made to order, current lead time is 4 to 6 weeks. If you have an upcoming deployment or training, please let us know in the message box at checkout. We have a Rush Order Upcharge available. Rush Orders ship in 7 to 10 days. FOLLOW SIZING INSTRUCTIONS BELOW. ALL SALES FINAL ON BELTS! EVERY BELT IS MADE TO ORDER AND WE WILL NO LONGER ACCEPT RETURNS DUE TO INCORRECT SIZING. FOLLOW THE SIZING DIRECTIONS IN THE VIDEO BELOW TO INSURE CORRECT FIT. IF YOU HAVE ANY QUESTIONS, CALL US TO CLARIFY. Waist size is the actual measurement around your belt loops, not pant size. Pant size varies and can be several inches different than the actual circumference of your waist. Measure your waist around your belt loops and order that size, we will take it from there. These belts are made with a short tail to maximize area usable for gear. Therefore, the amount of adjustment is approximately 2″ down and 2″ up from the size you order. Note: We use hook velcro inside the Duty belt and loop velcro on the inner pant belt. We do this for two reasons. 1. The loop wears out faster than hook. When the loop wears out, you can replace the inexpensive inner belt instead of the expensive outer belt. 2. Using hook on an inner belt will chew up your belt loops and snag your shirts. This is a rugged belt made for years of hard use. We use two layers of 2″ Scuba webbing sewn with three rows of stitching down the entire length. Select Zig Zag Stitch Pattern for and additional two rows of stitches in a tight zig zag pattern to make this belt as stylish as it is rock solid. 1″ hook tape is sewn around the inside to mate with our ultra light Hypalon Liner Belt(included). For Patrol Officers, this belt is a light weight and handsome alternative to the old leather belts. Our 2″ Duty belt is priced competitively with name brand nylon duty belts, but far exceeds them in terms of quality of workmanship and attention to detail. Black and Ranger Green belts come with Black Cobra Buckle. Coyote belts come with an Elephant Grey Cobra Buckle. The 2″ Duty Belt comes with a velcro liner belt which goes through your belt loops and acts as an anchor for the entire system. This is a thin and light weight 1.75″ pant belt cut from one piece of Hypalon. Hypalon reduces weight and bulk as compared to a belt made from nylon webbing. The Hypalon belt has 1.5″ loop velcro sewn around the entire outside. The end is secured down with a velcro closure. If you need a size that is not listed: Order the next closest size and at checkout, state your measured waist size in the Notes field. These belts currently ship withi 4 to 6 weeks. Warning! These belts are extremely strong but they are not intended for supporting human life. These belts are designed to hold up pants and gear. S.E.T. will not be liable for the misuse of products.